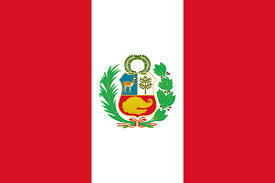 The International Monetary Fund (IMF) concluded its consultations with Peru this week. Peru’s economy continues to be a leader in high growth and low inflation in the region, which has been achieved through a prudent macroeconomic policy implementation, a far-reaching structural reform agenda and taking advantage of the benign external environment. No least due to these factors, the economy came out virtually unscathed from the 2008‒09 global financial crisis, with growth rebounding to 8.8 percent in 2010 and then being sustained at high levels in 2011–12. After reaching 4.7 percent in 2011, end-period inflation fell to 2.6 percent in 2012, within the 1-3 percent target range. Stimulative monetary and fiscal policies played an instrumental role in supporting the recovery, and were smoothly unwound as growth accelerated and the negative output gap was closed. Activity has slowed this year on the heels of adverse external shocks and a decline in domestic confidence. Real GDP is expected to have grown around 5 percent in 2013, underpinned by a recovery of exports and investment in the last quarter of the year as well as improvements in confidence as temporary supply shocks are being reversed. Inflation remained within the 1-3 percent target range, reaching 2.9 percent by end-2013 due to increases in food and fuel prices and some pass-through from the exchange rate depreciation. Private credit growth slowed in real terms to 12.5 percent at end-2012 (from 14.0 percent at end-2011) due to macro-prudential measures aimed at mitigating the impacts of surges in capital flows. The financial sector remains sound, profitable and well-capitalized, supported by the authorities’ pro-active use of prudential measures. The outlook remains favorable in the near term despite challenging external conditions. The projected growth deceleration in China (one of Peru’s main trading partners) and the unwinding of monthly purchases of securities by the U.S. Federal Reserve will result in a lower external demand and terms of trade deterioration. Against this background, real GDP growth is projected to be 5.5 percent in 2014, slightly below potential, while inflation is projected to decline to about 2.5 percent as expectations are well-anchored owing to the strong inflation targeting framework. The current account deficit is projected to remain elevated at 4.8 percent of GDP in 2014, but will decline gradually over the medium-term on account of expected pickup in mining exports. Macroeconomic policies have focused on being supportive of economic activity. The fiscal surplus is estimated to have fallen to 0.5 percent in 2013, from 2.2 percent in 2012, in part due to increased capital spending to support growth. The central bank has been unwinding reserve requirement, in particular on local currency, since mid-2013 and cut the policy rate by 0.25 percent of a point to 4 percent on November 2013 citing slower domestic and global growth. The exchange rate policy has been more flexible, but the central bank has intervened to limit excessive volatility in the foreign exchange market. The overall state of the economy remains strong despite lower metal prices and recent market turbulence. Peru continues to be one of the most dynamic economies in the region, and one with the largest buffers thanks to past strong policy implementation. With an economy growing somewhat near potential, macroeconomic policies should remain relatively neutral, unless additional turbulence in markets emerges or other downside risks materialize. Preserving policy flexibility by continuing with a good track record of appropriate policy responses to adverse circumstances remains instrumental to addressing future challenges. Risks are balanced. While external risks are tilted to the downside, domestic risks are on the upside. Significant terms of trade gains could be reversed if growth deteriorates in main trading partners, reducing income, investment, and growth. Sudden stops and reversal of some non-Foreign Direct Investment (FDI) capital flows to Peru (due to tightening of global financial conditions) could put pressure on the financial system and further decelerate growth. While these risks are significant they should be contained given a strong policy track-record, ample fiscal space, and large Foreign Exchange (FX) reserves. Aggressive implementation of structural reforms and infrastructure projects should help offset these risks. On the domestic side, large mining and infrastructure projects could be implemented at a faster pace thereby increasing growth. The fiscal objectives in the 2014 budget are broadly appropriate to maintain macroeconomic stability. Staff estimates that instead of a planned balance, the outcome will most likely be a small surplus (given past rates of expenditure implementation), which is counter-cyclical (given an emerging negative output gap) and broadly appropriate given the soft economic conditions at present. Staff welcomes the approval of the new fiscal responsibility law and the new fiscal framework. Over the medium term, staff recommended to aim for small structural surpluses (of around ½ percent of GDP a year) to address contingent liabilities and natural disasters risks, which are high in Peru. When integrating the new fiscal framework into the budget process, it would be important to take into account fiscal risks associated with contingent liabilities and natural disasters, as well as the need to close the infrastructure and social gaps over time. A strong political commitment as well as the steady implementation of a fiscal rule is equally important. With inflation expectation in check, a neutral monetary policy in the near term would be appropriate, but continued flexibility need to be exercised as global interest rates rise. The recent uptick in headline inflation was caused by temporary supply factors, while inflation expectations remain well-anchored. Staff stressed the need for the Banco Central de Reserva del Peru (BCRP) to focus on maintaining core inflation in check. The BCRP will also need to exercise caution in managing monetary policy in the context of a likely increase in long-term global interest rates. Greater exchange rate flexibility observed over the past year is welcome as the exchange rate continued to be used as a shock absorber. The exchange rate ought to continue to be driven by fundamentals over the medium and long term, while limited foreign exchange intervention could be necessary to reduce volatility and to contain excessive risks to the balance sheets in a still highly dollarized economy. Given external risks, intervention is more likely to be on the sale side. Such intervention will need to be properly sterilized to prevent a credit crunch and unnecessary upward pressure in the interbank rate. Increasing exchange rate flexibility will create further incentives for the deepening of the forwards (and other derivatives) market as the private sector internalizes exchange rate risks, which in turn could stimulate the de-dollarization of the economy. Macro-prudential policies should continue to be well targeted to reduce vulnerabilities. In addition to recent macro-prudential measures to deter the growth of dollar mortgage and car loans, there is a need for measures to discourage un-hedged foreign exchange exposures of households and corporates. The high spread between reserve requirements on dollar deposits and that on local currency deposits needs to be maintained to discourage dollarization. While the overall financial system remains healthy and strong, the recent deterioration of financial soundness indicators for some non-bank deposit-taking institutions warrants closer monitoring and supervision. While vulnerabilities have increased, current buffers are sufficient to address possible short-term shocks. Increased risk aversion due to the expected “tapering” of asset purchases by the USFR could lead to a reversal of capital inflows, necessitating the central bank to deploy resolute actions to maintain confidence and ensure orderly functioning of markets as was done during the global financial crisis in 2008–09. Slower global growth could lead to lower external demand and deterioration in terms of trade, the exchange rate should work as a shock absorber, although there are risks given the dollarization of the financial system. Monetary and macro-prudential policies should be relaxed to support economic activity. If the economic slowdown is too pronounced, consideration could be given to use a measured and temporary fiscal impulse. Resolute efforts are necessary to achieve ambitious tax targets. Staff welcomes the good progress made in doubling capacity, coverage, and control process, which is evident by the good performance of income and sales taxes. To bring Peru’s tax collections at par with other emerging market economies, decisive steps will continue to be necessary in persevering with reform efforts and in reducing a high level of informality, tax evasion, and exemptions. Recent efforts to increase the country’s growth potential and ensure inclusive growth are welcomed. Progress has been made in enhancing competitiveness by reducing barriers to investment and increasing effectiveness of the public and private sectors, further developing the local capital markets, and reforming of the private pension system to generate greater public access and savings. Social agenda was pursued through broadening the existing projects and advancing new social programs to ensure inclusive growth. Further progress in warranted to boost productivity through increasing labor market flexibility, reducing non-salary costs, upgrading human capital, removing infrastructure bottlenecks, and strengthening institutions. Prioritization of structural reforms, including through designing a holistic nationwide infrastructure strategy, will be key to preserving strong growth momentum.